Indonesia - New tools and new discoveries are drastically altering our existing knowledge of peatlands. Scientists have recently discovered the existence of huge, previously unknown areas of peatland in central Africa and South America – and the numbers are quite astonishing. 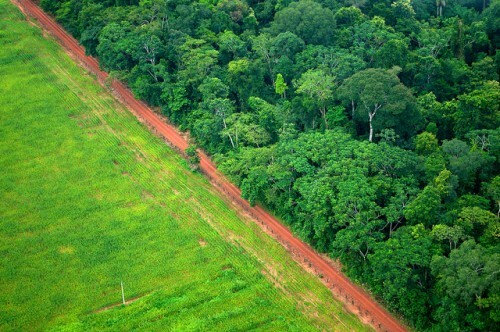 Additional research published this year revealed that as much as 30 billion tons of carbon may be locked away in the Cuvette Centrale peatland that straddles the Republic of Congo and the Democratic Republic of the Congo (DRC). Compare that with the estimated 10 billion tons of carbon the world emits each year. The peat swamp covers just four percent of the Congo Basin – and yet stores as much carbon in its waterlogged soils as all the trees across the surface area of the two Congo Basin countries combined. The two countries could use this new discovery as a major opportunity to help crack down on global climate problems. Given their renewed value, these countries need to move quickly to protect these precious carbon stocks, according to panelists at the Global Landscapes Forum: Peatlands Matter event in Jakarta on May 18. The science discussion forum, entitled The rediscovered carbon stocks in tropical wetlands and peatlands, was organized and moderated by CIFOR and featured panelists from Indonesia’s Peatland Restoration Agency (BRG), as well as UN Environment. Panelists discussed the latest tools for identifying and locating wetlands and peatlands, and revealed how scientists are using them to reassess carbon stocks. A DISASTER FOR THE CLIMATE? But will this new discovery of peat in the Congo Basin be a boon or a liability for global climate change mitigation? That depends on what happens next, said panelist Lera Miles, Senior Programme Officer at the UN Environment World Conservation Monitoring Centre. When peatlands are drained and dried out, and the organic matter they contain is exposed to the air, large amounts of carbon dioxide are emitted into the atmosphere. The dried-out soil becomes extremely vulnerable to fire. In addition to the Global Landscapes Forum: Peatlands Matter event, Miles was also in Jakarta for a meeting of the Global Peatlands Initiative, alongside policymakers from both the Republic of Congo and DRC. The group went on a field trip to Riau, Sumatra, to observe firsthand the efforts Indonesia is making to try to re-wet and restore peatlands that have been badly damaged by deforestation and oil palm cultivation. That means tropical countries need international support to plan and fund policies to protect these areas and to make sure they are developed sustainably. “It certainly wouldn’t be fair to expect the countries to take on that burden completely by themselves,” she said. But international awareness of peatlands’ importance for climate change still seems to be lagging behind, CIFOR Senior Scientist and moderator Christopher Martius told the panel. Martius analysed the plans made by countries to the UNFCCC for how they will reduce their carbon emissions. Of the 139 ‘Nationally Determined Contributions’ (NDCSs) submitted so far, there were 68 mentions of ‘forest’ and 18 mentions of ‘mangrove’. None, however, mentioned ‘peatlands’. CIFOR Principal Scientist Daniel Murdiyarso told the audience that wetlands and peatlands should be on the agenda of every annual UNFCCC meeting, and that countries should explicitly incorporate them into their NDCs. “NDCs are living documents, as is the new map we produced,” said Murdiyarso. CIFOR’s new map showing the extent of global peatlands can help with this process, he said. It is freely available and interactive, and the scientific and policy community can help to make it more accurate. Policymakers can already use the map to locate carbon assets, and plan how to protect and manage wetlands and peatlands more wisely, he said. Miles told the panel that the Global Peatlands Initiative is working on a rapid response assessment of the global peat resource to help bring these issues to global attention. More information is needed to confirm the extent of the peatland area, she said. In addition, for a more accurate estimate of the carbon stocks, it is also necessary to find out how deep and carbon-dense those peat bogs are – but pinning down the area and distribution is the first priority, she says. However, countries should already act now to protect these places, Miles said. For more information on this topic, please contact Daniel Murdiyarso at d.murdiyarso@cgiar.org or Christopher Martius at c.martius@cgiar.org.